Shop artisan Chalcedony, Amazonite and Avenrurine necklace. Hand made Jewelry. Home > Chalcedony Jewelry > Chalcedony Necklace > Artisan Crafted Jewelry.Chalcedony / Amazonite / Aventurine Necklace. Artisan Crafted Jewelry.Chalcedony / Amazonite / Aventurine Necklace. 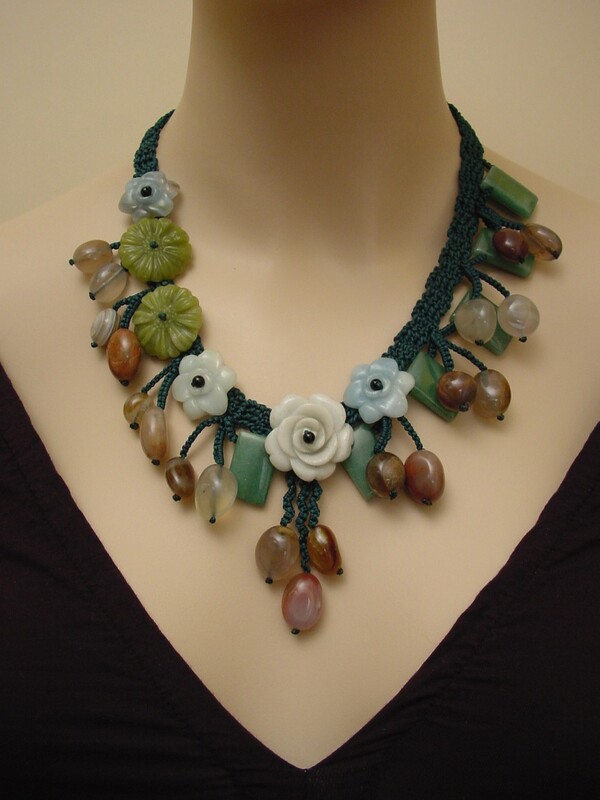 This unique necklace is created with blue Amazonite flowers, Chalcedony and Aventurine. Every flower is hand carved out of one piece of stone. The necklace would make a perfect gift for any occasion. 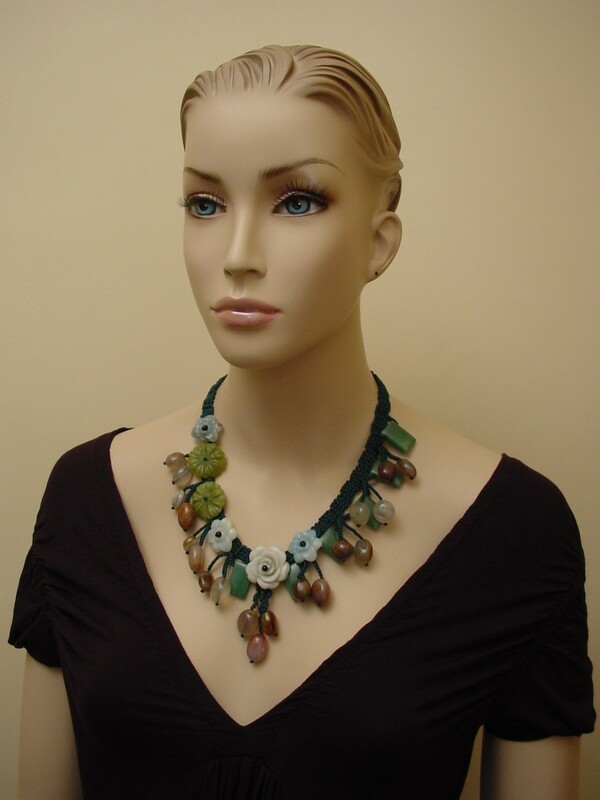 Ruby in Zoisite and Red Malachite Pendant Necklace. Agate and Red Malachite Flower Hand-crocheted Necklace.